It is easy to get around Blanes. We offer different options according to your needs. We are a lively city, perfect to enjoy a walk by the sea and meet new people or discover our landscapes, shops, activities and services. Choose the means of transport that you want and discover the city however you want. 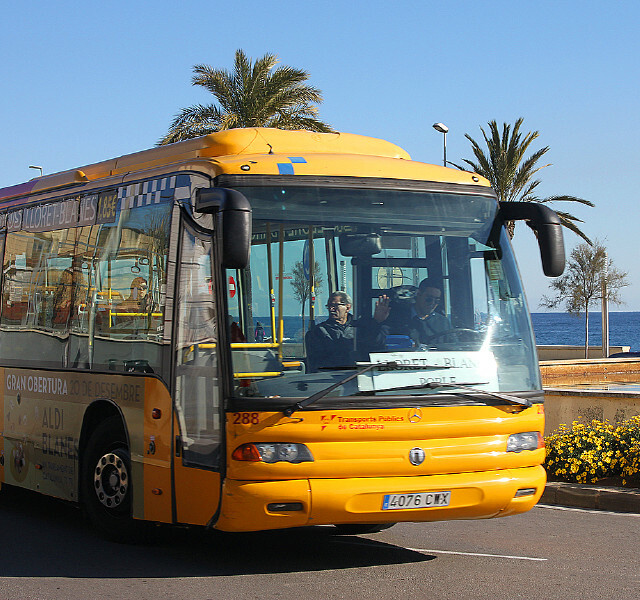 If you choose a private means of transport to get around Blanes, there are more than 1,000 free parking places just 5 minutes away from the city centre. Tourist areas also offer parking facilities, with blue zone for cars at different prices and free parking for motorbikes. Special parking facilities to people with reduced mobility. Local buses go through the main areas of the city, so you can travel without the need of a private car. A phone call is enough to get a taxi at your service. Taxi service all year round. Another way to discover the city is by the Garden Open Tour. With this tour, the city centre is connected with the gardens every 30 minutes and during the tourist season. If you want to discover the daily life of people in Blanes, the best way to do it is by going for a walk along the harbour, the daily fruit and vegetables market , the centre of the city and the promenade. It is only in this way that you will not miss anything of this lively, unique and welcoming city. It is also possible to have an amazing experience by bike in a city like Blanes, with 4 kilometres of beaches and parking facilities for bikes. This is, without a doubt, a good way to know more about our city with your family. You can enjoy this route thanks to several bike paths connecting the most important areas of Blanes. The following routes are a great way to discover Blanes by bike;Tordera Route, a flat route with a total lenght of 8 kilometres and MariMurtra Route, a route with a total of 20 kilometres and altitude points overlooking the city and the beaches. No matter what means of transport you choose because we help you to park easily. For this reason, we offer several free and paid parking facilities for all types of vehicles.